What If Joe Mauer Endorsed Old Spice? | That's Twins Baseball. A Minnesota Twins Blog. 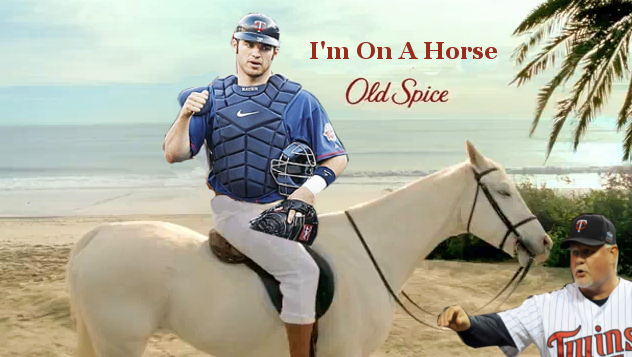 What If Joe Mauer Endorsed Old Spice? Joe Mauer is now endorsing Head and Shoulders. This means he now has the same thing in his shower as Jeffery Dahmer. What if Joe started endorsing Old Spice??…….. Gardy says "easy there Peaches, whoa girl"